As part of our exclusive Couture by Shane Co. collection, this gorgeous vintage inspired engagement ring features 34 round, hand-matched diamonds, at approximately .33 carat total weight. The elegant design is crafted from quality 14 karat white gold with intricate side detailing. 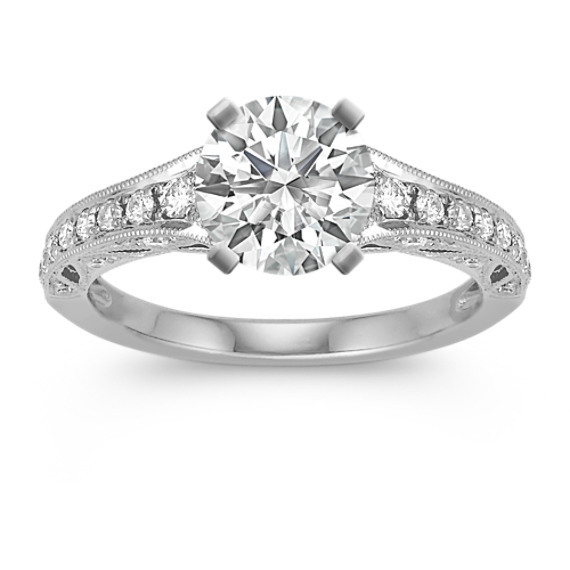 Personalize the look by adding a center diamond in the shape and size of your choice.